Who doesn’t love Instagram? The visual feast is amazing, but there are so many features, it can get confusing. Bios, hashtags, stories, algorithms, and the IG Explore page, it can make your head swim. What’s the proper protocol for posting, and what are the best practices to grow your business on Instagram? Here are 8 Instagram marketing strategies to build your brand, and keep you in the know in 2019. Most people can detect insincerity a mile away. It’s on everyone’s radar. What we all crave is connection and authenticity. Painting a picture of your polished life in all it’s perfection is not a good way to get more followers. In fact, it’s a great way not to get followers because you’ll probably intimidate people as they compare their not-so-perfect lives to yours. We all want to be friends with real people. Share the good times, but also share your struggles, insecurities, and fears. Share you life it all its messiness. Being real is the best way to extend your influence and presence on Instagram. I bet you’ve viewed an influencer’s profile, with their millions of followers, and thought to yourself how perfect their lives must be? This is a fallacy. They are human just like the rest if us. Likely, one of the reasons they have so many followers is their ability to keep it real. I know it may be tempting, but please don’t buy followers. Besides the fact it’s not cool, you’ll have zero engagement, and most likely some shady followers as well. A targeted strategy that involves posting regular content, and engaging with your audience is a far more effective way to get followers. Keep in mind, content is more than images and text. Try your hand at Instagram stories, IG Live, and IGTV. Shake it up and see if your following doesn’t grow. Be selective in who you follow. Following people willy-nilly, in the hopes of them following your back, can appear inauthentic. Follow people relevant to your brand and who you are genuinely interested in. Be intentional in who you follow on Instagram. Instagram likes consistency, and your followers do too. The more you post, the more views and followers you’ll get, and the more opportunities for engagement. Posting regularly is imperative, at least in the beginning. Once you’ve have been on IG for a while, and have seen significant growth, you may be able to relax a little, but consistency will always be key. There’s nothing better than unique, fresh content that’s posted regularly. Do this and your followers will anticipate what’s coming next. You can’t go wrong if you post a variety of content that is entertaining, motivational, educational, and interesting. And don’t forget to include witty, sincere, and eye-catching captions to complement your content and images. I find that creating a posting schedule helps keeps me consistent. This is definitely one of the best strategies for success. Content will always be king! There are a number of automation tools you can use to automate your posts while you sleep. Read my post “Boost Your Bottom Line With Tailwind” for more information. It’s true, Instagram is an amazing way to promote your products and services. However, being too salesy or over-promoting is a turn off, and will most likely backfire. Don’t do it! People can sniff out when someone is all about the money. The first order of business of any social media platform is connection. Connection, engagement, and interaction is the best way to build trust. Trust is an indispensable factor if you want to eventually turn your followers into paying customers. Post a lot of informative content and interact by responding to the comments you receive. Not only will this help your business, it sends a message to IG’s algorithm that you’re engaging in an open discussion with your audience. Commenting and liking others’ content is also a great strategy to facilitate connection, relationships, and potentially future collaborations. Linktree is a brilliant workaround for not being able to add more than one link to your IG bio. It’s free to use, and is a great way to optimize your Instagram traffic. All you need to do is add one Linktree to your bio. When someone clicks on it, they’ll see all the links you would have added to your bio if allowed. These links could include URLs to your social media accounts, your website, a specific post, a training, an ebook, a landing page, or a product you’re selling. You’ll even be able to customize your Linktree in regard to colors, fonts, and button styles. It’s easy to set up your link, and won’t take more than a few minutes. Linktree is an incredible tool that I use for all my Instagram accounts. Read my post “How To Add Multiple Links On Instagram” for a detailed tutorial on how to use Linktree. Using hashtags to your advantage on Instagram is good practice, but using too many can be annoying. Keep your hashtags to a handful of meaningful tags that reflect your brand, your personality, and your business. Having a few set hashtags makes it easy to automatically add them to each piece of content you post. It’s been shown that posts that include at least one hashtag get more engagement than posts without one. This shows the validity of hashtags in helping people find your content more readily. You can also use hashtags strategically to get more likes and followers. Instagram has recently added new hashtag features you can track using post insights, although, you will need a business account to access this information. Analyze how your hashtags are performing by visiting “View Insights.” Swipe up to view your data for specific posts. Getting familiar with how Instagram Insights works will help you determine which strategies you’re implementing are working, and which ones aren’t performing well. Insights is an IG analytics tool that will help you improve your marketing. You can then put more effort into the tactics that are working, and troubleshoot the ones that aren’t. For instance, how many clicks are you getting on your website and posts? How many profile views and impressions are you receiving? Knowing this information will help you work smarter on Instagram. You can then promote your best-performing content and spend the most time on your highest-converting campaigns. You’ll also need a business account to access Insights. Read my post “How To Create An Instagram Business Account” for step-by-step instructions on creating an IG business account. What is a brand? In a nutshell, a brand is a product or service that is easily identifiable from other products and services. Examples of branding would include, your company name, logo, tagline, colors, and fonts. Brands help consumers effortlessly recognize a company or concept. Beyond colors and logos, a brand is how people emotionally feel about you, your products, and the services you provide. Focus is the secret of establishing a strong brand. How does this translate to building a memorable brand on Instagram? An effective way to build a strong brand on IG is to create a theme for your feed. Ask yourself: “What emotions and feelings do I want people to associate with my brand?” Then use images and colors that reflect that aesthetic. Instagram is just one social media platform. There’s so much more to learn in regard to content creation, keyword research, website design, affiliate marketing, and how to optimize for SEO. I learned my skills by becoming a member of Wealthy Affiliate, an online certification course for affiliate marketers. Joining this amazing community is one of the best decisions I’ve ever made. 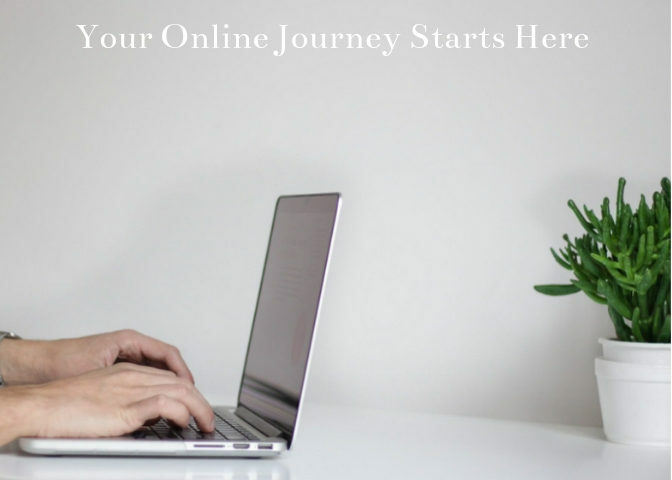 Create your free account here to check out Wealthy Affiliate’s exceptional training and one-of-a-kind community support. Read my review ““Is Wealthy Affiliate Legit Or A Scam” to learn more. Check out this video tutorial to get a feel for the training Wealthy Affiliate offers. The absolute best way to be successful on Instagram and expand your network is to build relationships, foster connection and interaction, post fresh content regularly, and check your analytics to see what is and isn’t working. Navigating the various features on Instagram can certainly be intimidating, especially when you’re just getting started. My advice is to choose one feature, and get comfortable with it before moving on to another one. For instance, start sharing stories daily until it becomes second nature. After that, you might want to branch out, and begin using IGTV. The more features you use, the more compelling your profile will be. With over a billion monthly users, Instagram is a remarkable tool to grow your business and your personal following. What is one thing you can do today to build your brand? Please share your suggestions and comments below. Your experiences and insights help all those reading this post!